Prayer is not a monotheistic concept. Devotion is magic in itself, in fact it is the core of magic. Without the divine connection, your life and your magic will be futile. This human vessel has been used from the beginning to express devotion through dance, art, singing, movement and prayer. Early rock paintings and cave art show how the human mimicked the animals and in turn gave them god-like status. Our first actions as human beings was to venerate our creators, eat and multiply. These are the core aspects of humanity. Devotion has also, in its extremes, provided a platform where celibacy and strict diets were enforced to separate and isolate the soul from the human condition. Pain and torture are other forms of raising ones awareness and losing the human connection. One of the most incredible subjects on this earth is how we forge our connection with what we perceive to be divine. Each being, through their lives has formulated completely different perceptions of what divinity and deity is to them, not a single one being the same, similar perhaps, but not one of them identical. It is for this reason that we must explore the various forms of devotion available so that we can integrate those that resonate with us, into our spiritual practices. The old saying of ‘You will never know if you do not try’ is definitely applicable in this instance. “The epics Kojiki and Nihonshoki describe a folklore origin for the dances. In these texts, there is a famous legendary tale about the sun goddess Amaterasu, who retreated into a cave, bringing darkness and cold to the world. Ame-no-Uzume, kami/goddess of the dawn and of revelry, led the other gods in a wild dance, and persuaded Amaterasu to emerge to see what the ruckus was all about. Kagura is one of a number of rituals and arts said to derive from this event. Originally called kamukura or kamikura (神座), kagura began as sacred dances performed at the Imperial court by shrine maidens (miko) who were supposedly descendants of Ame-no-Uzume. Over time, however, these mikagura (御神楽), performed within the sacred and private precincts of the Imperial courts, inspired popular ritual dances, called satokagura (里神楽), which, being popular forms, practiced in villages all around the country, were adapted into various other folk traditions and developed into a number of different forms. Among these are miko kagura, shishi kagura, and Ise-style and Izumo-style kagura dances. Many more variations have developed over the centuries, including some which are fairly new, and most of which have become highly secularized folk traditions. Very interesting background on the three daily prayers performed by the Jewish. Done in English. A beautiful reading from The Hávamál stanzas 138 & 139 read loud in Norse, with English subtitles. A take on Asatru practice in Denmark. Goddess of Motherhood and Fertility. Hear my cry. Free me from the bonds of my past. Allow me success in love and life. Cleanse my soul and purify my heart. I sacrifice my memories unto you. And wish for you to remove it from me. Allow me freedom in my life. Bless me with love and happiness. Please, grant me my desires. and the scorn of others. Please, cleanse and purify everything of mine. My past, my present, my future. As you cleanse my soul. Allow your grace to rain down upon me. Allow your light to shine in my life. For all things great you have done and will do for me. And request only freedom and happiness. Based on the Morrígan’s poem from the Second Battle of Moytura, adapted for use as a ritual blessing. nach scel laut? | have you any story? Note: This is a compilation of multiple different translations of the original poem, combined for ritual use. Original translations used are Isolde Carmody, 2014, and Bernard Mees, 2009. Used from http://www.corupriesthood.com, they have other useful information and prayers you can look at. The song : Ly-O-Lay Ale Loya (Circle Dance) conveys the stories, legends and plight of the Native Americans by combining sampled chants of the Navajo, Pueblo and Sioux tribes and Sami people yoik with synthesizer backings, all driven forth by a combination of traditional drumming and electronic dance-beats. Ly-O-Lay Ale Loya (Circle Dance) is part of the album “Yeha-Noha” (Wishes of happiness and prosperity) released in 1994 by a musical project named “Sacred Spirit” . On the first album, the song “Circle Dance” was presented as a native American chant, however the main vocals are an authentic Sami yoik (“Normo Jovnna” by Terje Tretnes), For each album sold, donations are made to the Native American Rights Fund, a non-profit Native American organization devoted to restoring the legal rights of the native American people. The Mahishasura Mardini Stotram is used to kill off the negative ego that separates the spirit from the source energy. It makes an intense difference when practiced daily, but be warned it has been said to turn your life upside down whilst in the transformation phase. One of the most beautiful renditions of the Gayatri Mantra, performed by Deva Premal. General meaning: We meditate on that most adored Supreme Lord, the creator, whose effulgence (divine light) illuminates all realms (physical, mental and spiritual). May this divine light illuminate our intellect. Word meaning: Om: The primeval sound; Bhur: the physical body/physical realm; Bhuvah: the life force/the mental realm Suvah: the soul/spiritual realm; Tat: That (God); Savitur: the Sun, Creator (source of all life); Vareñyam: adore; Bhargo: effulgence (divine light); Devasya: supreme Lord; Dhīmahi: meditate; Dhiyo: the intellect; Yo: May this light; Nah: our; Prachodayāt: illumine/inspire. tuf ur biu, May he be praised! bi a’a chefu, The one great of Power! 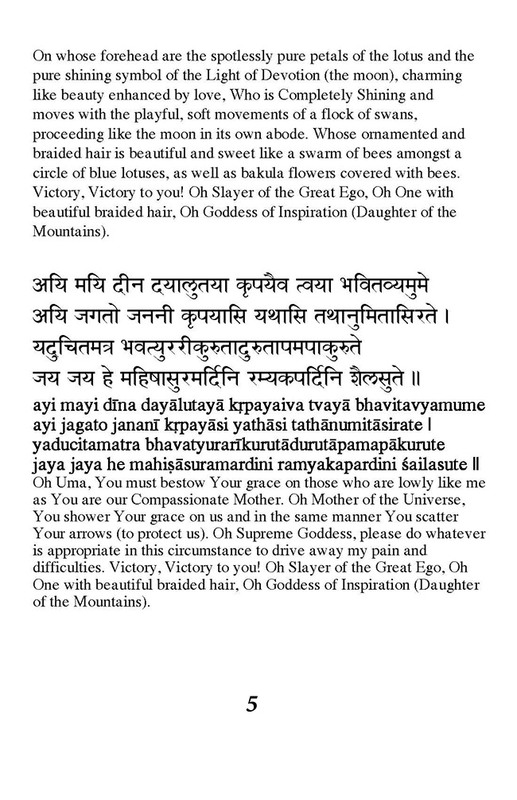 The Mantra Sarvesham Svastir Bhavatu performed by Tina Turner. Sarva=everything; Sarvesham≈all/ everything; svastir=health/ well-being; bhavatu=let be, may there be Shanti=peace Pūrnam=completeness/ perfection/ fulfillment Mangalam=success (spiritual success)/ auspiciousness / prosperity. The Wiccan God Chant and gestures performed by Ceisiwr Serith. Mithras, Osiris, Cernunnos, Apollo, Hanuman, Wotan, Shango. Mudra’s / Hand Gestures to the various Hindu Deities. Ave Maria with the Lyrics, Sung by Barbara Streisand. The earth is our Mother. A traditional Hopi Song used by many Wiccan circles. Ayahuaskay mama taki taki muyki Chuya chuya medicina trai na nai na na na nai na limpiarenge cuerpecito trai na… Trai na… trai na… Ayahuaska conconcito manta shamu riri riri riri Chuya chuya maririto trai na… limpiarenge cuerpecito trai na… trai na… trai na… Ayahuaska cogollito manta shamu riri riri riri chachpa kuchpa medicina trai na… Ayahuasca pinturera trai na… Trai na… trai na… Ayahuaska pangoncita manta shamu riri riri riri Chuya chuya maririto trai na… venga venga curandera trai na… Trai na… trai na… Ayahuaska lucerito manta shamu riri riri riri Cura cura cuerpecito trai na… venga venga espiritito trai na… Trai na… trai na… Ayahuaska chacrunera shamu riri riri riri Chuya chuya hampikuyni miski ñuñu cuerpo chaita para nuestros cuerpecitos trai nai… Trai na… trai na.. The Iqaro’s are specific whistles and tunes given to the Ayahuasca shamans / Shipibo shamans from the Plant Mother Ayahuasca. These Iqaros are used to perform the ceremony and to bless the spirit of the plant before use in ritual. We have added much food for thought and many prayers and songs to provide you with doorways to incorporate these pieces of divine connection into your lives. We will be updating this blog over time, so make sure to visit often. If you believe that a prayer or a piece of devotion should be added please feel free to add it into the comments below! Thank you for this beautiful, extensive collection of prayers and devotions. I became tearful reading through the list. It is a powerful reminder of how we are all connected and share the same Divine Energy. Your post is something I will take my time reading thoroughly, and many times. Bright Blessings, dear ones…..